The Nantucket Film Festival is now underway and hopefully you checked out the first half of this itinerary, which I posted yesterday. Things really heat up as this festival goes on, rather than petering out, so with that in mind, here is the remainder of my recommended itinerary, beginning with this Friday’s program. Today I suggest starting of with two important documentaries. The first one, What Tomorrow Brings is actually a work-in-progress and it is about the circumstances of women in Afghanistan, which it looks at through the story of a new all girls’ school and the woman who runs it. While the Taliban, which forbade women and girls from teaching and studying, has been ousted, their influence lingers. Director Beth Murphy takes on the subject presumably with the same sensitivity and honesty has used in making previous films, such as Beyond Belief (2007), which I reviewed for The Upper Cape Codder some years ago. This film is followed by Welcome to Leith, which tells a story that seems like it just could not be true. (In fact, I thought I was reading about a fiction feature at first.) A small, abandoned town in North Dakota finds itself home to a white supremacist named Craig Cobb who wants to kick off the “race war.” But the residents of the town, thankfully, are not interested in their hate-filled rhetoric and so they try to work with the system to rid the town of this scourge. This is one I have not seen, but I am very interested to find out how the real life situation turned out. You can read a little about the unwelcome resident here. Chinatown screenwriter and this year’s screenwriter tribute Robert Towne will be in conversation with MSNBC’s Chris Matthews for an intimate chat at 5 p.m. After that, you might want to check out Leslye Headland’s very funny Sleeping With Other People, which is really an updated version of When Harry Met Sally, although it won’t suit all tastes with its over the top raunchy humor (similar to Headland’s previous feature Bachelorette). And finally, an intriguing mix of fact and fiction The Stanford Prison Experiment dramatizes the infamous 1971 Stanford University study of power and powerlessness in which student research subjects were divided into prisoners and guards in a mock prison setup, resulting in a shocking lesson in how easy it is for people to descend to moral depravity with a little bit of power in their hands. The cruelty of the mock guards led to the study being shut down after just a few days. 3:30 What Happened, Miss Simone? 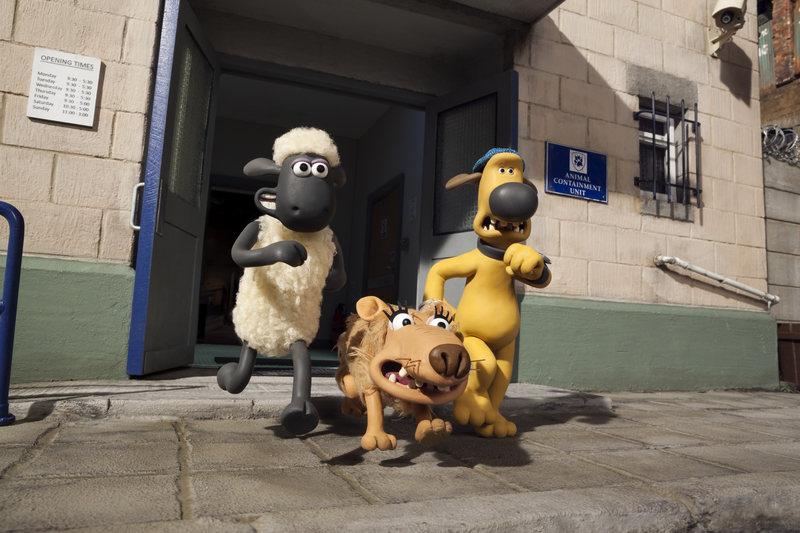 If you have kids or if you just enjoy high quality animation in the tradition of Wallace and Gromit, get up a little early and head over to the Dreamland Theater for the 9:45 a.m. screening of Shaun the Sheep. It is a fun, nearly wordless claymation feature based on the British television program of the same name and will delight anyone with a sense of whimsy. Follow that up with one of the most talked about documentaries to come out of Sundance, The Wolfpack about six siblings who grew up in almost total seclusion in New York City and learned everything through watching and then reenacting movies. Truly bizarre circumstances yield a film that won the U.S. Documentary Grand Jury Prize at Sundance and that is headed to theaters soon after the festival circuit. At 3:30 p.m. Liz Garbus’ What Happened, Miss Simone? gives us a documentary portrait of the enigmatic jazz singer Nina Simone, who passed away in 2003. Although the film will be on Netflix later this month, it should be noted that Garbus will attend today’s screening, providing an opportunity to learn more about the subject and the process of making this film. After that screening, everyone will want to attend the Screenwriting Tribute, which, as I explained in the first half of my itinerary, is an evening to honor legendary screenwriter Robert Towne, director/actress Robin Wright, and creator of the show House of Cards Beau Willinson, among others, hosted by David Steinberg. After the tribute, the film The Russian Woodpecker comes highly recommended to me by a documentary filmmaker I recently met who really knows her stuff. She saw it at Sundance and I hope to see it at Nantucket along with you. The film is an essay style documentary about the Chernobyl accident in Russia and it was filmed amid chaos and violence. It won the World Cinema Documentary Grand Jury Prize at Sundance. Vermont filmmaker Jay Craven has often made films that take place in New England and are actually shot here, as well. Last year, he shot Peter and John on location on Nantucket. Based on a Guy de Maupassant novel of the same name, the story is not set here, but in a French seaside town. Craven has adapted this psychological story for the screen and moved it to Nantucket, so it is of special local interest. The film stars Jacqueline Bisset, who will attend the festival this year along with Craven. 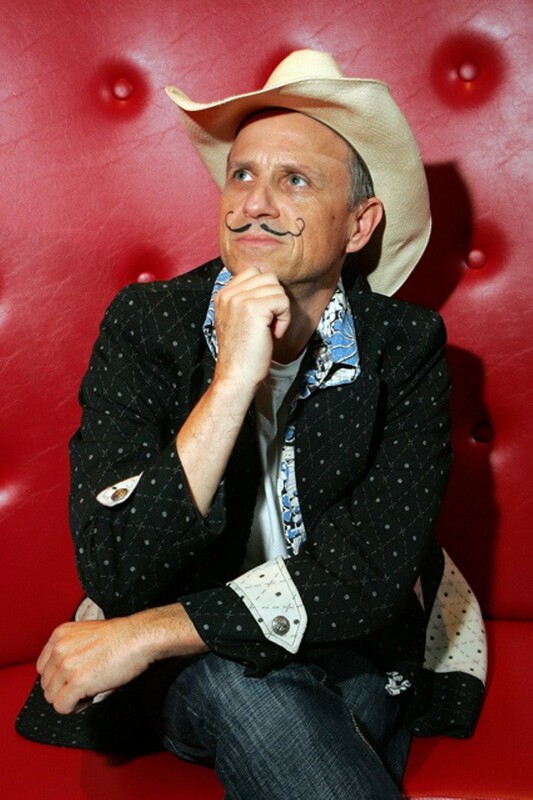 You can read more about Craven and his previous work in an article I wrote for Provincetown Magazine. In the evening, check out the insightful documentary exploration of the televised “debates” between ultra conservative William F. Buckley, Jr. and ultra liberal Gore Vidal from the 1960s. Best of Enemies does a great job of both showcasing these men’s verbal jousting abilities and also digging deeper to show us that while in some ways they were cut from the same economic cloth, the barely held back anger seething beneath the surface of each man is genuine and not something made for our viewing pleasure. It does a great job of exploring certain aspects of American culture that still keep us divided. The festival offers what is perhaps the best documentary of the lot this evening. Listen to Me Marlon is an exceptional documentary about a most unusual, iconic individual, Marlon Brando. 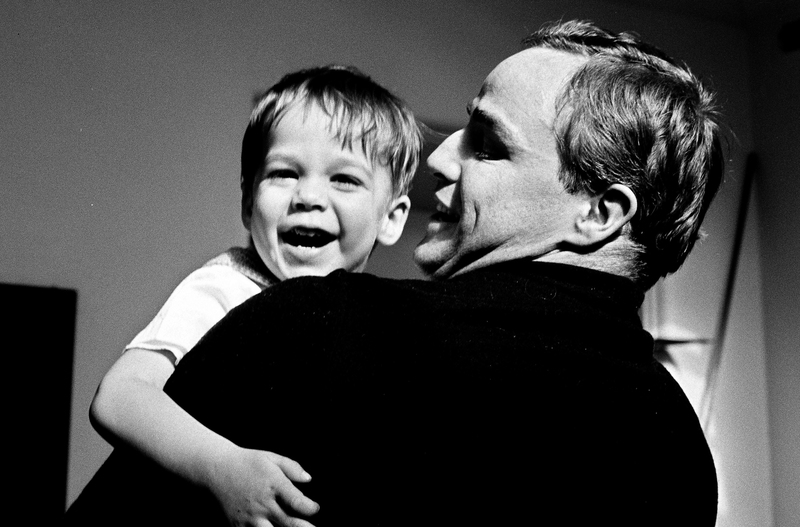 Using Brando’s decades of audio diaries as its basis, along with archival footage and imagery from his childhood through later life, the film unmasks a much misunderstood public figure and humanizes him in a way that rights the wrongs of our celebrity-obsessed culture. This is one to make sure you see. Most of the films mentioned in my itinerary have multiple screening dates/times, so if you can’t adhere to my carefully mapped out itinerary, there may be other opportunities to see these films at this year’ festival. Have a great time, open your mind, and absorb the truths that only cinema can provide! Visit http://www.nantucketfilmfestival.org for all the details and to buy advance tickets. Some of these films are already selling out as you read this. The Nantucket Film Festival, now in its 20th year, doesn’t officially begin until tomorrow (June 24), but it kicks off with a pre-festival screening of the 1925 silent classic The Phantom of the Opera tonight at 7:30 p.m. at the Dreamland Theater. This stunning early horror film will be accompanied by the Berklee Silent Film Orchestra playing a new score for the film and conducted by three-time Emmy nominee Sheldon Mirowitz (Outside Providence, Missing America). But this is only the beginning to one of our region’s best festivals, with its focus on screenwriting in the setting of lovely Nantucket Island. Each year the Festival honors filmmakers with a special emphasis on screenwriters. This year, the major honoree is Robert Towne, author of Roman Polanski’s brilliant neo-noir Chinatown, which starred Jack Nicholson and Faye Dunaway. Towne has also written a number of other significant scripts, including cult classic The Last Detail (also starring Nicholson), Personal Best, Shampoo, and more recent films such as Mission: Impossible. Towne will appear in a live conversation with interviewer Chris Matthews at 5 p.m. on Friday, June 26 and then be feted at the annual Screenwriter Tribute on Saturday, June 27, 6:30 p.m., along with actress/director Robin Wright and creator of House of Cards Beau Willimon. Start your Nantucket Film Festival with a documentary about a fascinating woman who is one of the most important figures in modern art despite not being an artist herself. Peggy Guggenheim brought some of the most daring modern art to our attention. Finally, here is a film about this intriguing woman. Follow that up with legendary documentary filmmaker Barbara Kopple’s (Harlan County, USA) new film about The Nation magazine. Kopple is a master of nonfiction form, so I wouldn’t miss this one. The Festival’s Opening Night Film is also one that has a lot of buzz about it. The End of the Tour is a fiction feature about a meeting between a Rolling Stone reporter (Jesse Eisenberg) and Infinite Jest author David Foster Wallace (Jason Segal). According to reviews I’ve seen, the film mines the relationship between a journalist and his subject and issues of friendship and jealousy. Its Pulitzer-Prize-winning writer Donald Margulies will be in attendance at this screening, so you can ask questions after the film. A slightly busier schedule for this second day of the festival, beginning with what looks like a fascinating documentary, Almost There about an outsider artist named Peter Anton. Although I have not yet seen this film, its story raises questions about documentary filmmakers’ relationships to their subjects, including the ethics and boundaries that need to be formed in those relationships. After lunch, I recommend Richard Gere’s new film, which he produced and stars in, Time Out of Mind. I initially saw this film because I knew that a local Provincetown musician Billy Hough did some music for it, but I was pleasantly surprised by how well done it is. Gere stars as a homeless man who has to navigate the system to stay alive, all the while trying to cope with guilt and regret over his relationship with his estranged daughter. This is an opportunity to see a very different side to Gere. Ben Vereen appears in a supporting role as well. In the evening, I’m recommending two very different films. The first, Jimmy’s Hall is recommended on the basis of who directed it: legendary British filmmaker Ken Loach. Love him or hate him, the political filmmaker has created provocative films for over 40 years. This latest one is a biopic about Jimmy Gralton, an Irish communist who was also an American citizen and eventually was deported from Ireland to the US after leading a communist rebellion. The second, Krisha, is by a new filmmaker, Trey Edward Shults, and appears to have been made through an intriguing process. A fiction film, Shults cast his own family and shot in his childhood home, depicting a family’s struggles with addiction . Shults will also attend this screening. Come back tomorrow for Days 3 – 5! I had the great pleasure of interviewing Jennie Livingston last month. Not only is she the director of one of the great films in documentary history, Paris is Burning, she is also a filmmaker who truly gets what’s possible in the nonfiction film form. She is appearing today at 3 p.m. with a work-in-progress screening and talk about her next feature documentary Earth Camp One, at AMP Gallery, 148 Commercial St., Provincetown. The Provincetown International Film Festival is now in its 17th year and I’m proud to say I have attended nearly all of them. This year’s Filmmaker on the Edge honoree is Bobcat Goldthwait (pictured at left) and the Faith Hubley Career Achievement Award goes to actress/comedian Jennifer Coolidge. The Festival kicks off tonight with some screenings and an Opening Night Party at the Crown & Anchor at 9 p.m. But at 8:30 p.m. they have a special Drive-In Double Feature: Jaws and Roar, so if you’re into the whole animals go wild thing, check that out at the Wellfleet Drive-in! I’ll be back with more thoughts on the festival as it unfolds…..Enjoy!